Casio opened their new flagship store for the G-Shock brand in London on Saturday 21st of April and DHA Designs were very pleased to be brought in to advise on the lighting for the store. DHA Designs were retained by HarrimanSteel on this exciting project in a premier location in the heart of Covent Garden. 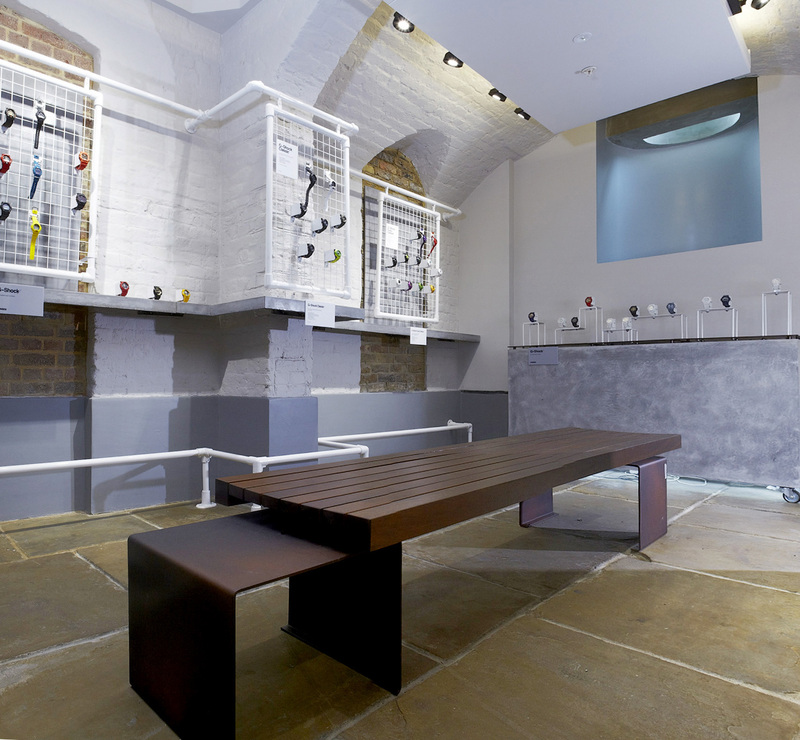 The store was designed as a very flexible space, retaining a strong aesthetic. Upstairs, the store has a modern, stylish feel; while the downstairs is more urban. The lighting is designed to compliment the space and remain consistent throughout. More details can be found on HarrimanSteel’s website here. Photo supplied by HarrimanSteel with thanks. This entry was posted in Recent work and tagged Casio, HarrimanSteel, Lighting, Retail on April 27, 2012 by simon.